Dramabeans is a site dedicated to Korean dramas (K-dramas): discussing what they are, what we feel about them, why we love them, what we don’t love about them — anything and everything. We cover shows in their pre-production phase, promotional stages, through broadcast. We cover dramas in episode-by-episode recaps (examples: Boys Before Flowers, Moonlight Drawn By Clouds, Descended From the Sun, Six Flying Dragons, Cheese in the Trap, W–Two Worlds); in overviews and reviews (Nine: Nine Time Travels, The Princess’s Man); and in year-end write-ups that review dramas in the context of the past year (an example from 2016, and another from 2013; here are the Editors’ Picks for 2016). We also cover news about the entertainment industry, and discuss trends and practices of the drama industry (drama adaptations and remakes, live-shoot drama production, production controversies, drama about dramas). We love dissecting storytelling tropes (contract marriages, all-time favorites). Sometimes we like to compare plot points and story devices across different shows (image ruinations, cradle-robbing teachers), and sometimes we just like to talk about random aspects of shows that interest us (heroes in boxes, dramaland fandom, the hotness effect). Basically, we love dramas, and we love to celebrate them in any way we can. Dramabeans was born in 2007, when a lone drama fan searched the internet high and wide for a place to discuss K-dramas with the loving attention and excruciating detail she felt they deserved. She decided she’d have to build it herself, took the name “javabeans,” and started blogging about the dramas she was watching at the time. This quickly grew into something much bigger than she’d ever dreamed, and suddenly she was writing about dramas day and night, day after day. It became the best job ever. In 2010, javabeans meet a kindred spirit in girlfriday, who was exactly the same kind of top-level nerd about dramas as she was, and they hit it off. Girlfriday came onboard as her, well, Girl Friday, a beautiful partnership was born, and thousands of recaps later they’re still going strong, analyzing and deconstructing and squeeing over their favorite shows. Over the years, the site has expanded and the Dramabeans family has grown to include a staff of recap minions, because people get tired but the dramas keep coming, and the more dramas we could cover, the better we could serve everyone’s TV addictions. You’re welcome! I love Korean dramas, and I love talking about, writing about, and analyzing them. I’ve been watching dramas for as long as I can remember; I was raised on a steady diet of them, with the household TV always tuned to one show or another. The first Korean drama I recall specifically loving was the 1992 hit Jealousy, and I’ve been hooked ever since. My avatar is SuperDalja from Dal-ja’s Spring, who made an impression on me right away with her encouraging spirit and belief that real-life Superwomen aren’t that way because of special powers, but that we’re all the Superwomen of our own lives, working hard to bring happiness to our small corners of the world. My underlying modus operandi: Just because it’s pop culture doesn’t mean discourse has to be shallow. I’d like to sustain a fun but hopefully substantive level of conversation, mixed with some irreverence. Because it’s not worth it if it’s no fun. I’m a writer, a TV junkie, a critic, and a fan of good storytelling in any medium. I grew up watching Korean television my whole life, thanks to my parents, and am constantly blown away by how globally popular K-dramas and K-pop have become. 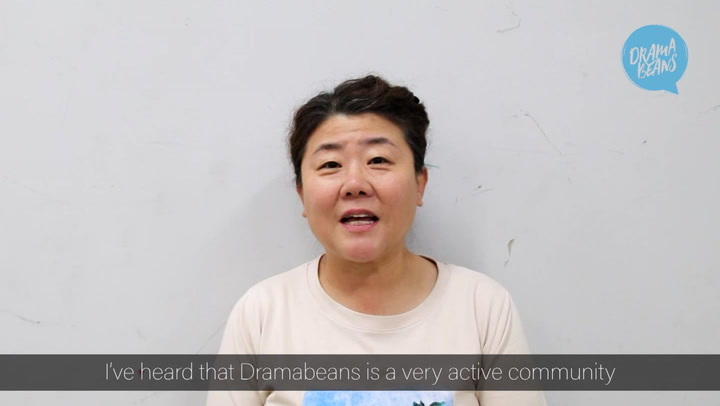 Dramabeans is a testament to the fact that great stories can transcend any cultural barrier, and it’s home to the greatest community of fans in the universe. Science says so. I love dissecting what makes a drama resonate with its audience, and figuring out what speaks to people universally. I have a secret love of puns. I enjoy grammar, if only to break some more rules. I feel very strongly that people can have thoughtful discourse on just about any topic, and that art—mass, pop, high, pulp, whatever it may be—can and should be discussed intelligently for the thing it is. About the name: A Girl Friday could rule the world, if she really wanted to. You know her—the best friend smartypants who always knows exactly what the private eye/secret agent/superhero needs? She’s plucky and clever and sassy and loyal, and pretty much smarter than everyone in the room. My favorite Girl Fridays are of course ones that break the mold. Every Willow Rosenberg and Veronica Mars out there gives us hope that the geeky outcast can and will save the world. Just think of me as Dramabeans’ girlfriday: the Miss Moneypenny to javabeans’ Bond. Please, I am desperately looking for the complete Recaps of Queen Seon Deok. AnY ideas where I could locate it? I love reading your recaps because it fills the gaps. I hope you could make a recaps about that show. Please? I didn't know there was such a HUGE Indian Population who watch K-Drama Lol. My parents watch A LOT of Desi Serials, just listening to them is a headache with all the dramatic bg music lol. My ABSOLUTE fav dramas incl. the reply series is really good but HEART TO HEART is hands down the best thing i have ever watched ! i very strongly suggest it to everyone here! omg, these many indians. i really didn't expect this! looks like not all our watching baahu and saas fighting. i'm glad i found this website. i'm indian too. From tamilnadu. I hated shut up flower boy band but I guess someone could like childish shows like that... No offense! So true ... 'K' is like the most famous alphabet in Indian TV. All the ekta kapoor serials. but the problem is that they are soooooooooooooo long!!! Yeah the K thing in India, we had a long run of those soaps, didn't we? Well, now its not the hype though. And surprisingly my first drama was Heartstrings too!! ( I do not and will not count Love Rain). And then after heartstrings I saw Lee Min Ho and Hyun Bin and decided that I will stick to K dramas forever!! 3. And more importantly, they actually finish ie have an ending after 15-20 episodes, rather than keep continuing for years at end!!! Do let me add that these KDramas actually have a story that makes perfect sense and doesn't abandon you five episodes in. And, most Korean drama actors can.actually.ACT. Period. Indian soaps do whatever they can to drag it on for 1-2 yrs! ikr!!! k dramas are awesome!!! i hate when it gets dragged !!!! I So agree with you, I just accidentally dropped in Korean Drama world...I was you-tubing and hit the video of Stars Falling From the Sky and that was it...since then I'm glued to it. I so wanted to brag about this and I'm glad I found the place to do so. Love them and can't keep away from them. 4.k dramas sometimes make sense.......as opposed to ours! I am Indian too..and like you said i prefer kdramas which are more facinating, cute and makes sense.. I've been an avid fan for almost 8years. wow i had no idea there were so many Indians watching Kdramas till i saw this link and just like you i also prefer the Kdramas to our saas bahus. Join me too...I'm from U.P. Did you know this new Korean drama site recently launched in India? it's called cool2vu, it's free to watch, it's formatted for mobile, multilingual and expertly subtitled. Hundreds of series. I see many of these comments were made 1-2 years ago but I recommend this site to you and your friends if you love K-drama and K-pop etc! It's got everything. Cheers! wow cant believe so many east indian ppl are actaully watching kdramas too.. i thought i was the only one. Me too.. From tamilnadu. a very big fan of KDramas. Especially, addicted to 'Full House'. Me too. I am from chennai. I am Indian too and get bored with the nonsense we get on TV here. My sis who lives in London and I am hooked to K-dramas. What has Korea and Korean Dramas done to us! We are addicts. I am an Indian too and I love K ( Korean ones kind of more than the indian ones :p) Dramas!! I have watched a ton of them till now and they are really nice!!! And the list never ends!! ahh so many indians! makes me so happy. But I absolutely hate Indian soaps (sorry ajji!). Especially *shudder* Kannada soaps. The music is so awkwardly dramatic, and I just kinda want to puke all over the ugly actors' faces. I am suprised with the huge volume of indian k drama addicts. I am also Indian who was hooked to the k dramas since I first watched Boys over Flowers. And I really love dramabeans. Its great platform for getting to know dramas and read the recaps. Great job both girlfriday and javabeans and all other dramabeans staff. it seems m the last indian to join this bandwagon but certainly not the least! i have had alwez a thing for japanese anime since childhood n animax was like a holy pilgrimage 4 me but then once i discovered an episode of we got married global n voila! m hooked to k drmas now honestly i felt like a discovered a treasure that keeps me happy throughout no matter how hectic or drastic my day has been! Indian and K-drama's are two words I never imagined anyone other than me will ever use. Glad to know you exist. It would be a dream come true if all the indian kdrama fans would just make a group somewhere. i'm dying to spazz abouttt my k-drama addiction with every other indian who upto this moment believed, "DAMN I THOUGHT I WAS THE ONLY INDIAN K-DRAMA FAN". There's also kdrama amino app if you want to make tons of international & Indian friends who love kdramas, kpop, etc. hello i'm an indian as well and an overly kdrama obsessed girl also!! HEY!!! More Indians! and I thought I was the only one... We're truly everywhere. I see a lot of peopel from the south here. I'm North Indian. An Indori NRI for that matter. I adore K-dramas and I started with The Heirs last year and it still remains my favorite. Hi...,guys i am indian too! i just love kdrama. i almost watched every kdrama, so recently start watching some chinese dramas and they are great too. one of the chinese drama like most is "Boss and me" you guys should watch it, its Really very good drama. i am sure you guys going to LOVE it. The main leads are too cute. i already watch it 4-5 times. Same here I have watched a lot kdramas and shifted to other dramas too If you liked Boss & me try watching LoveO2O. Also have you heard about mydramalist.com ? You can keep track of asian dramas you have watched using that. And there's also kdrama amino app if you want to make tons of international & Indian friends who love kdramas, kpop, etc. Happily shocked that the first thread here is about Indian fans of K-dramas! I am a lawyer in Mumbai and K-dramas are how I beat all that stress of my everyday life. I'd probably have an alcohol addiction otherwise or maybe a boyfriend and a life? ^^ Not sure, could go either way. I can't wait to meet a kdrama fan randomly somehwere in India and fangirl about all kdramas, kpop etc. I'm a pretty new blogger myself and was browsing around when I saw yours. A fellow drama addict leaving you a reply. I am currently watching Lovers in Paris right now. Much love to asian dramas! I think we need more people like you! :D Thanks for all your summaries! Very entertianing. Hi there. I just want to say that your website is fantastic and I think you are somewhat witty. Good to find fellow drama fanatics. Its great being able to watch japanese and korean dramas back here in Australia, my housemate got me hooked on them while I lived in Japan. Just wish I could speak Japanese and Korean so I don't need the subs! Just found your site. What a great idea! I love ur blog. Not only is the content entertaining and insightful. But I also love ur site. Its one of the best put together sites I have seen to date. I want to encourage you to continue this good work, it takes a lot of heart and time, and you are doing a great job! I am also a big fan and always looking for a great site that can recommend me what to watch, so here it is - a review site written by a fan...can anything better than this? I like your site...it's a lot of fun. Good luck with your endeavors. kip up the g0od w0rk!!! You are a wonderful writer! I thoroughly enjoy your summaries and choice of music. Thank you for all your hard work. So glad I found you!! Thanks so much for all the positive comments, everyone! I love reading what you all have to say, especially in the episode discussions :D I'm just thrilled to see there are so many other (k)drama freaks like me out in the world. Hey there! I really appreciate your blog, and I enjoy reading through all of it. Good luck with "the career of your dreams." I'm curious, are you ethnic Korean? you are good! thanks for sharing your talents to us non-korean speaking korean drama lovers. you wouldn't know how MUCH you are appreciated! cause even if you try to imagine, there is no way you'd be able to count us all! wish you well! my sentiments exactly. witty, funny and gives attention to syntax, semantics and cultural context with a dose of drama from time to time. thanks much! Hey i really enjoy reading your summaries too! and i believe in your reviews, certainly full house was absolutely overrated. Am now watching witch's amusement and stumbled onto your site. Hope you can give the final 2 reviews as well! by the way, are you korean?> just curious..
you're one talented writer... luv your honest-in-the face twisted sene of humour (kinda like mine). good luck in pursuing your dreams. "Goodluck with pursuing your dreams" not sure if you have any idea how this has become a reality! i guess it came true....10 years of DB and a new world for JB it is! And us kdrama addicts! funny, your qualified rating for WYH is higher than your rating for QSS (solid A vs. A-)... or should i read that as ironic? keep up the good work, javabeans. gail -- my "real" grade for WYH is B-... the A is totally with irony. that is, it's an A series to watch if you intend primarily to enjoy for the mock factor. my all time favorites are full house, goong and goong s. so i actually surprised myself by actually agreeing that full house is a bit overrated. i think the reason is both because rain and song hye kyo are so popular individually, and because their team-up was so widely accepted. clearly, the hype has its own foundations, because of the two reasons i mentioned in the first paragraph. did you know that it garnered a 50+ ratings both in the philippines and thailand, which is such a feat. the premise in itself sparks many questions. i am often asked by my kdrama friends that full house's story can NOT really happen in real life...how can dong wook sell the house without ji eun's signature? i just figured that since dong wook works in a bank, he may know ji eun's safety deposit box number where the deed may be kept. i like full house because of its script and pacing. it is just so damn funny and cute at the same time, with no boring moment passing by. the actors not only act well, but they do have some kind of strong chemistry, especially rain and hye kyo. the characters have a good heart. this is one of the few kdramas and dramas in general where i find that no one is sooo "sinister", which is a reality in life. not all characters are like kim tae hee in stairway to heaven. i mean, the second leads were doing something bad but not sinister, and they only did so because of love. and last but not the least, i think nobody would contradict me in saying that full house is highly "rewatchable". there are kdramas that when you watch them, they're very good. but come re-run, you just can't seem to get yourself as glued or even glued as you were before. the same goes with goong and goong s.
i couldnt say that the actors acted well, especially for kim jung hoon. yoon eun hye and song ji hyo were fine but not great. ju ji hoon was tolerable. he was so stiff, but i guess that's fine since he's portraying a stiff character anyway. (the same approach he does his oh seung hwa character in the devil. m beginning to wonder if he has an acting range.) there's also no denying that eun hye and ji hoon definitely have chemistry. the premise was magnificent and creative. who would have thought of modern monarchy in korea? i agree that goong was a bit draggy. but i think it was because it was extended during the latter part due to its high ratings. i also like the conflicts of the story. it's very deep. min hyo rin and lee shin being first loves. lee shin falling in love with shin chae gyung unexpectedly, the past happening again...shin and yul's father falling in love with yul's mother at the same time. lee yul, who is shin's cousin, falling in love with her sister-in-law chae gyung, who was supposedly his bride had his father not died, the struggle for the crown prince position between shin and yul, the similarity between yul's mother and hyo rin as being ambitious, the parallelism of hyo rin's character with camilla, the dilemmas o not being able to follow or even have your own dreams because as a royalty, you were destined and duty-bound to your country. there are just so many aspects and conflicts that were expounded so nicely. and this is highly re-watchable too. goong s for the most part shares similar plots and conflicts with goong, except for the reverse of the main lead. shin chae gyung's counterpart here is se7en. but i can see a little bit of chae gyung in both hoo and soon ae, as their both from out the palace and they're both always committing mistakes. i can see both shin and yul in joon. shin because he's stiff, and yul because he led a damned hard life psychologically. min hyo rin's character is manifested in shin sae ryung. the premise is the same and strong, but the pacing and character development were not. for one, and in my opinion, the dragging part was mostly in the middle, during the contest for the crown prince position. the preparation and the contest itself was so lengthy, and the story was just stagnant and going nowhere. i was surprised to find out though that se7en's acting wasn't bad at all, like most of the internet sites are saying. hey, hands down, he was better than ji hoon and jung hoon. and even showed some nuances. heo yi jae was the kim jung hoon of goong s. she was such an amateur. but i still like both of them. they're both good-looking people. the main difference, which i liked though, was that hoo is more romantic and showy than shin. there were a lot of lovey-dovey scenes between hoo and soon ae, and their love for each other was not merely kept to themselves but was explicitly agreed between the two, unlike shin and chae gyung, it's all so implicit. the conflicts were not as strong in that the foundations were not laid very well. the love quadrangle was not as convincing as goong's. for one, hoo was never in love with sae ryung. it was just infatuation. so how can you build a tension between the triangle soon ae-hoo-sae ryung? goong's was very effective and deeply embedded because shin was totally in love with hyo rin and they had a relationship, not just a mutual understanding. secondly, joon and soon ae are not really as good friends as chae gyung and yul. in fact and if i remember correctly, there was even a scene in either episodes 5, 6 or 7 where soon ae tells joon to stop flirting with her. while yul fell in love with chae gyung during the formation of their friendship. the bottomline is, it was really a no brainer to conclude that hoo and soon ae would much rather choose each other than sae ryung and joon respectively. this was not the case with goong, as there is the "possibility" that they might choose the second leads, even though they are the ones in love. as with goong, i loved the rivalry between hoo and joon in both love and the crown, as i did with shin and yul. in fact, i think this conflict may par with my liking of the love aspect of the story. too add to full house character analyzation: Rain and Song hye kyo's interpretation of their characters were so natural it's like its their second skin. In fact, I think I started to like them as actors because of their characters. another thing is i can't seem to watch park shi yeon for a long time as well. her face, in filipino terms, looks or is "retokada", meaning, she has undergone a lot of plastic surgery. it was just too obvious that it's hard to watch her on tv. i enjoyed hello miss though. i've read on some sites that they see yoo rin and su ha's character as the same. to some extent yes, because lee da hae's acting range is not that wide. she can not interpret a character in a unique way. though being su ha, the exagerration way much lessened. i'd love to read a thorough critique of my girl. coz i'm really curious as to why many people like it. there really must be something in it i am not seeing. Hi Javabeans, This is Cayabunga I have been previewing some of the other Blogs since I am new to Wordpress and wanted to see who some of my other neighbors are. I am not familiar with your subject matter but at least I enjoyed some of your sounds while I was here. I like the fact you have audio on your site as it lends a different dimension to your blog. In addition you have some graphics and pictures of people which brings a different visual focus to your site. By the other comments in your site you also have a nice following. Well I have taken up enough of your time. So till later have an "AWESOME" day. hi! i've a number of things to tell you but let me start with your name... JAVABEANS... it caught my attention simply because I love jelly belly beans! I discovered your website just last night when I was searching for episode artworks of DJS. After I was done copying the artworks I read your posts about Dal Ja's and really, I was so impressed with all the works that you've put in to do a review of the said series. I am a die-hard fan of Dal Ja's Spring and I even reached the point where I'm trying to immitate DJ's looks. :) What I did last night was added your site to My Favorites list because I want to read more about your works. jxbeaucp, sorry to say Soulmate 2 won't be happening. I'd be much sadder if I didn't feel the first season was wonderful as it is, but I'm satisfied with the ending so I can live with that. Mohamed, it's just an online handle i've been using, completely unaware of (or forgetting) the computer programming suggestion. cacs and everyone, i'm glad you like the site! thanks for all the support. You are a very talented writer. I enjoy reading your reviews, analysis, and so on. You don't use fancy words and yet, the whole thing becomes fancy and meaty. Thank you for your hard work. I also follow your recommendations before buying my DVD sets. Btw, how many different languages do you speak? Just want you to know that I appreciate your work. Thanks a lot again! I'm non-Korean. I just want to tell you that I'm a Korean addict! I'm glad that I'm not the only one who is a Korean addict too! lol... When I wake up in the morning at 6:30 before I go to school, I turn on my computer to watch Korean dramas and when I get home from school, I also watch Korean dramas. Sometimes, I even stayed up to 6:30 in the morning finishing a drama even though the ending is so obvious! lol. Thanks again! I just wish I can speak all the languages in the world! That would be so COOL! Thanks again! I just discovered your blogsite and am totally awed by you! Your interpretation and evaluation of each drama is so concise and perceptive. Your blog is so well-written that reading it is a joy unto itself. You are better than the professional critics in the mass media. I so appreciate all the work that the various fansubbers do for our enjoyment. And, since I don't have the skills to help out, I do and will continue to donate to support everyone's efforts. It is kind of great to see people who discoveted DB since it's inception still going strong here. As for.me, i found DB in 2011 and been hooked forever. I wish i knew kdrama and DB since 2007 like you did! A teeny tiny bit jealous of lucky peeps like you! thanks guys! and pandapop, aside from korean i speak some japanese. not enough to watch dramas raw and understand them completely, but enough to get by. I really enjoyed your blogs and love your opinions..I was just wondering if you are currently living in the U.S.? Do you know why Soulmate II is not going to happen? I've been waiting because I too love Soulmate I to the max. SarangCandee, yes I'm in the States, and no, I don't know why Soulmate 2 isn't happening. All they said was that the production fell through. I can just guess that the first season didn't do strong enough ratings for them to justify it. It didn't have poor ratings, if I recall it had around 10%-15%, but it wasn't a hit. It's so weird how series that has low ratings in Korea or not a hit seems to be a big hit for us over here ...i'm very sad that production fell through..I thought Soulmate was a very clever sitcom..what a waste of a good production!